WordPress is undoubtedly the world’s favourite solution for building a website. There are lots of reasons for this. Suffice it to say, WordPress is pretty amazing and its free! However, WordPress sites, like all websites, are constantly under attack from malicious hackers, looking for an easy target. Whilst it makes a lot of sense to build your website with WordPress, it makes no sense to leave it unprotected. Don’t put your trust in the Gods – put your trust in us! Our security services for WordPress will keep your site safe from hackers, clear from malicious code, backed up and permanently under our watchful eye. 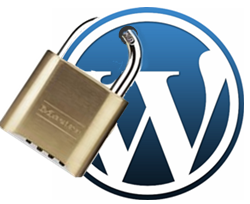 Read our blog for hints and tip and useful insight into WordPress security. Hosted by StayPress and covered with our standard security package, this website enjoys 24/7 security monitoring, weekly updates to plugins, WordPress core updates when they become available, daily offsite backup, security hardening and support. This is a WordPress site with event/ticket ecommerce built with Woocommerce. It handles customer data and payment transactions. It therefore needs proper security and continuous monitoring to ensure customer data is safe. This is a simple but elegant brochure website, designed to be easy to use on tablets and smartphones – showcasing the agencies clients and work in a nice UX/UI. 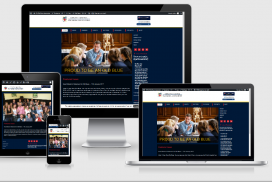 This is a large membership organisation website built with a custom theme. As well as the added security measures mentioned above, it benefits from an end-point WordPress firewall and a host of other measures. This is a WordPress commerce site built with Woocommerce. It handles customer data and payment transactions. It therefore needs proper security as well as SSL and continuous monitoring to ensure customer data is safe. 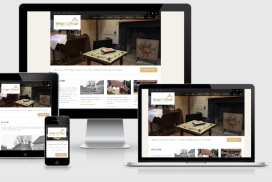 Using our WordPress theme development skills, we can create 100% bespoke themes from design concepts, design and build a bespoke theme for you, create a semi-bespoke theme from an existing theme, purchase a pro theme and install this for you or customise an existing theme. Our many years of hosting WordPress sites means that we can provide safe, fast WordPress hosting for great prices. Note: this is not standard hosting but WordPress optimised hosting, specially configured to make WordPress sites go faster and stay secure. The importance of extra security for WordPress installs (or indeed any website) cannot be over-stated. We have an armory of tools and techniques up our sleeve to secure your WordPress site and keep it secure. We also have policies and procedures in place to deal with a site should it be hacked. Contact us for more info. 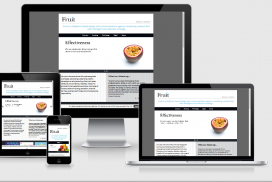 Incorporating everything your site needs to load quickly. Far-future expiry, Gzip compression, server-side caching, CDN, minification & more! Get a real person to look after your site! Feel secure knowing we have all the bases covered. Incorporating everything View product. Let us take care of the techy stuff and be the first line of support between you and your host. View product. Feel secure knowing we have all the bases covered. Our hosting plans incorporate everything your site needs to stay happy.